Broadcom on Monday took the wraps off a new 5G Wi-Fi system-on-a-chip for mobile devices that could bring 802.11ac support, 2x2 Multiple Input Multiple Output (MIMO) and improved power efficiency to future Apple iPhones and iPads. According to Broadcom, the new BCM4354 SoC doubles data throughput and increases Wi-Fi coverage by up to 30 percent, while at the same time increasing efficiency by some 25 percent over older 1x1 MIMO solutions. "Smartphones have become the epicenter of today's digital life and consumers are demanding ever increasing levels of performance and sophistication," said Dino Bekis, Broadcom's Vice President of Marketing, Wireless Connectivity Combos. "As a leader in wireless connectivity solutions, Broadcom continues to deliver unprecedented features and capabilities to this demanding and rapidly growing market." Broadcom says the chip will give smartphones the same benefits from advanced multi-antenna 2x2 MIMO designs seen on tablet devices like Apple's iPad Air. In addition, the firm's beamforming technology will improve range and performance in congested environments. Broadcom says the chip is already being produced, but did not specify when quantities would be reach levels necessary for wide distribution. 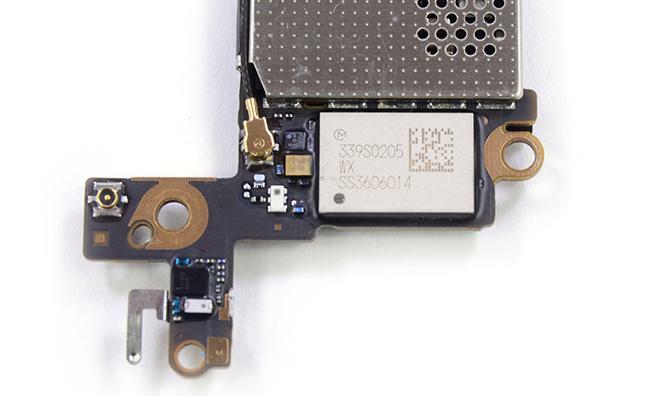 With Apple's continued use of Broadcom-based Wi-Fi chips —and other controller components —in the iPhone 5s and iPad lineup, the upcoming BCM4354 will likely make its way into next-generation iOS devices. That Apple would include the chip into its portable product series is a logical next step as the company has already rolled out 802.11ac technology in its laptop and desktop hardware offerings. The company was one of the first major OEMs to incorporate the 5G wireless spec in a consumer device with the mid-2013 MacBook Air.